The sexual harassment claims against film mogul Harvey Weinstein have caused a furious reaction in Hollywood, where stars are lining up to condemn the producer – with the notable exception of fashion designer Donna Karan. Karan caused a storm when she told a reporter at the CineFashion Film Awards in Beverly Hills that women "have to look at ourselves," and that Weinstein's alleged victims may have been "asking for it." "How do we display ourselves? How do we present ourselves as women? What are we asking? Are we asking for it by presenting all the sensuality and all the sexuality?" she asked rhetorically during a red carpet interview on Sunday with the Daily Mail. "What are we throwing out to our children today about how to dance and how to perform and what to wear? How much should they show?" Donna Karan attends the 2016 Angel Ball hosted by Gabrielle's Angel Foundation For Cancer Research on November 21, 2016 in New York City. Karan's comments were criticized by other Hollywood stars, including Mia Farrow and one of Weinstein's alleged victims, actress Rose McGowan. McGowan reportedly received a $100,000 settlement from Weinstein in 1997 after an incident in a hotel room during the Sundance Film Festival. — Mia Farrow (@MiaFarrow) 10 октября 2017 г. ​​Many of Weinstein's friends, including Meryl Streep and Judi Dench, have distanced themselves from him since the allegations were aired publicly in a New York Times article published on Thursday. 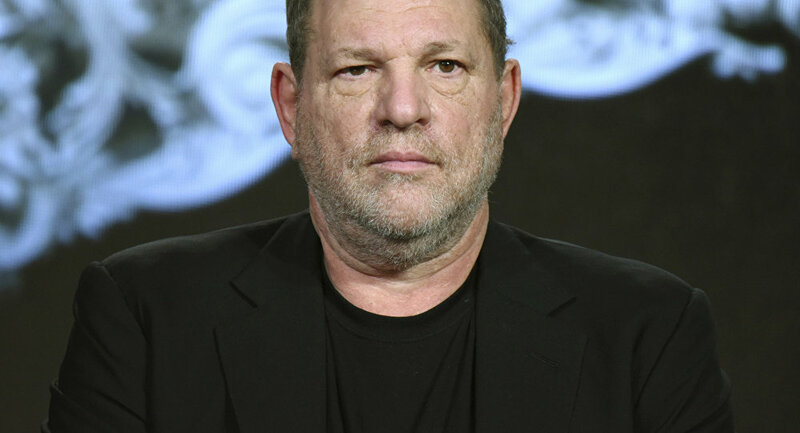 The newspaper alleged that Weinstein, who produced a string of Hollywood blockbusters such as Good Will Hunting, Pulp Fiction and the English Patient, had paid off accusers of sexual harassment over a period of three decades. — Mark Ruffalo (@MarkRuffalo) 8 октября 2017 г. If there is a way to cure yourself of being a predator than I hope harvey learns what it is & shares it with the world. It's an epidemic. — Patricia Arquette (@PattyArquette) 9 октября 2017 г. ​​Since the scandal emerged, Weinstein has been fired by the Weinstein Company's board. He has issued an apology for his behavior and said he is seeking therapy. Dench, who worked with Weinstein on Shakespeare in Love, called the allegations "horrifying" and offered "wholehearted support to those who have spoken out." The British actress once joked that she had got a tattoo of Weinstein on her bottom as a sign of gratitude to Weinstein. Streep said she was "appalled" by the "disgraceful news" and described the women who eventually told their stories to the New York Times as "heroes." — Julianne Moore (@_juliannemoore) 9 октября 2017 г. ​​A key figure in the US entertainment industry, Weinstein is also an influential donor for the Democratic Party. Since 2000, Weinstein has personally donated almost $1 million and raised $1.4 million in "bundler" donations to the party from his friends and associates. He hosted two fundraisers for Hillary Clinton last year. Earlier this year, he employed Malia Obama, the daughter of former US President Barack Obama, as an intern. Both Obama and Clinton have so far declined to comment on the scandal. Some Democratic politicians such as Senators Kirsten Gillibrand and Chuck Schumer have publicly re-gifted money they received from Weinstein to women's charities.